Roughly 50 percent of Tennessee whiskey is exported. President Donald Trump's tariffs on foreign steel and aluminum have left Tennessee whiskey and other moonshine makers feeling moody as they cope with the international backlash and higher import costs. The U.S. tariffs, announced in early June, led several countries such as Canada, Mexico, and the European Union to retaliate and put tariffs on certain American cheese products, steel and American whiskey, among other items. Trump's tariffs "are definitely a factor" for Tennessee's whiskey businesses, said Ole Smoky Moonshine CEO Robert Hall. The tariffs on American whiskey have hit Tennessee companies, such as Jack Daniels and Ole Smoky Moonshine, because "roughly 50 percent of Tennessee whiskey is exported," Tennessee Distillers Guild board member Heath Clark told ABC News when the tariffs first went into effect. Higher tariffs can lead to higher prices abroad which could hurt the bottom line for foreign distributors and, in turn, decreased demand from American whiskey companies. 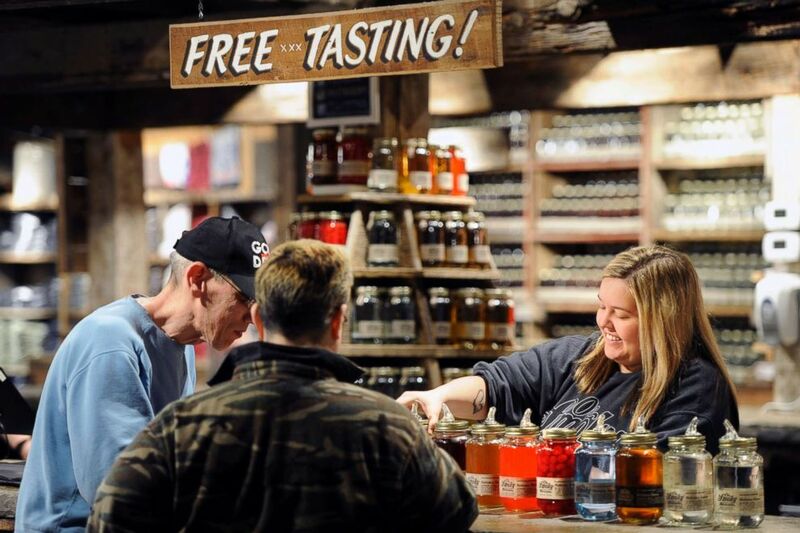 (Adam Lau/Knoxville News Sentinel via AP, FILE) An employee pours moonshine samples for customers at Ole Smoky Distillery in Gatlinburg, Tenn., April 16, 2015. The candidates to replace Tennessee Sen. Bob Corker both agree that tariffs are not great for Tennessee businesses. Republican candidate Marsha Blackburn initially said "tariffs are intended to punish bad actors," but has changed her tune saying she is "not a fan of tariffs, and I feel like tariffs are a burden and they put up barriers. I am somebody who says, let's go for freedom, free markets and free people." Democratic nominee Phil Bredesen has called the tariffs "a tax on Tennessee" and said, "The effect of these tariffs is just like a new tax on Tennesseans. They will drive up prices, hurt our economy and will cost jobs, especially in our important automotive sector. The retaliatory tariffs that are promised to follow will hurt our exports, damaging farmers and even hitting iconic Tennessee businesses like Jack Daniels." 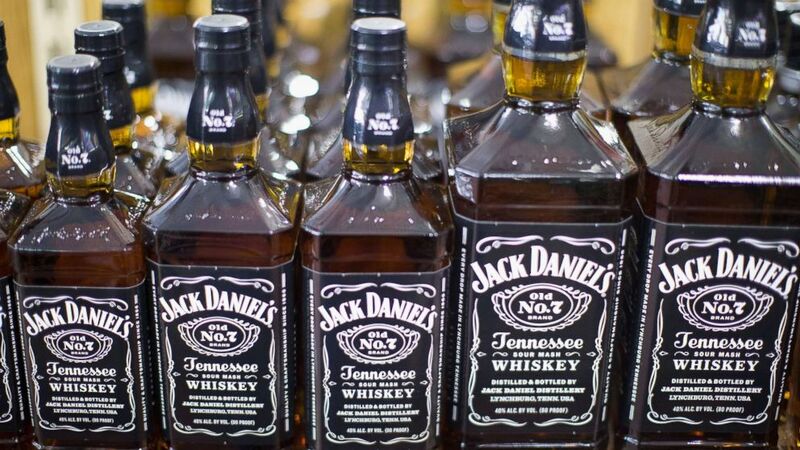 In June, Brown-Forman, the company behind Tennessee’s whiskey brand Jack Daniels, cautioned that the war on tariffs would make it more difficult to predict future earnings. “The global economy has improved modestly over the last year, including improving conditions in many emerging markets,” the company wrote in their 2018 fiscal results, which were released in June. (Scott Olson/Getty Images) Jack Daniels Tennessee Whiskey is offered for sale at a liquor store on Feb. 3, 2015 in Chicago. "However, the competitive landscape in the developed world remains intense, not to mention concerns over potential retaliatory tariffs on American spirits. "These factors make it difficult to accurately predict future results." The company declined to comment on the matter to ABC News for this report. Nearly six months after countries enacted the tariffs, Tennessee businesses say they have been impacted. Ole Smoky Moonshine is a company based in eastern Tennessee which distills whiskey and moonshine. Hall told ABC News that the effect from the tariffs for his company was "immediate" because the tariffs "increased the cost of metal...which for us translates the cost for our lids because we use a lot of metal in the lids of our product." Even though the metal for Ole Smoky's lids originates in the United States, Hall said "there was a price increase in the middle of the year that related to the tariffs the U.S. imposed" because of a higher demand for U.S. made metal. Hall called the lids "a significant cost increase." 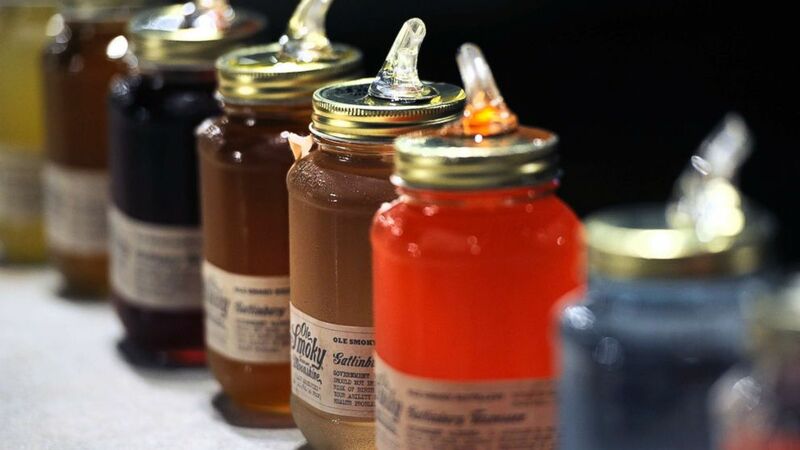 (Adam Lau/Knoxville News Sentinel via AP, FILE) Jars of moonshine for sampling sit on display at Ole Smoky Distillery in Gatlinburg, Tenn., April 16, 2015. Hall said that after the price of the metal increased, the company decided against passing the cost onto their customers and opted to leave the price of their product the same. "We chose not to do that and reduce our [profit] margins as a result," Hall said. Ole Smoky's is the top-selling moonshine in the world, Hall said, and in some countries, moonshine is included in the retaliatory tariffs imposed by foreign nations. Due to those tariffs, consumers in foreign nations may end up paying a higher price for their bottle of Ole Smoky Moonshine or Ole Smoky Whiskey. And while he's been able to keep his prices steady for his domestic customers, he worries he may have to one-day increase prices to compensate for their financial losses. They hope to balance those losses by also opening a fourth distillery in Nashville in early 2019. "We take problems as challenges that we overcome and the tariffs are a challenge," Hall said. "But we will overcome them by doing other things."